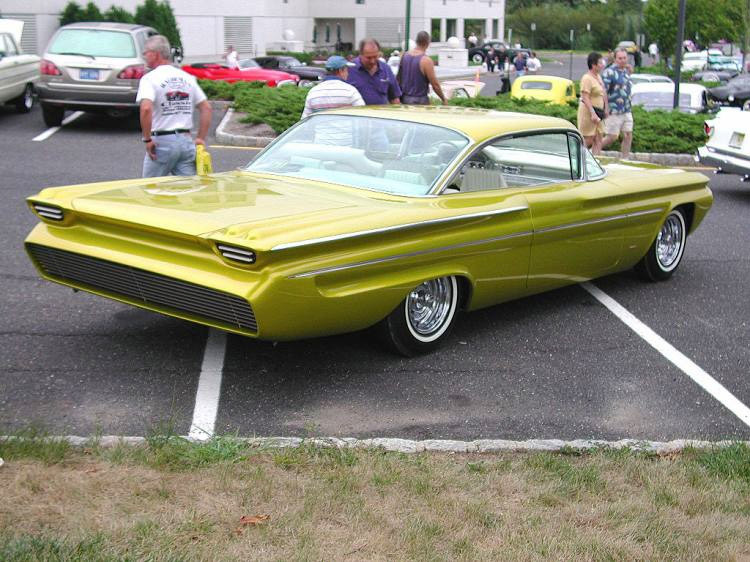 This elegant custom 1960 Pontiac Ventura is also known as the “Golden Indian”. 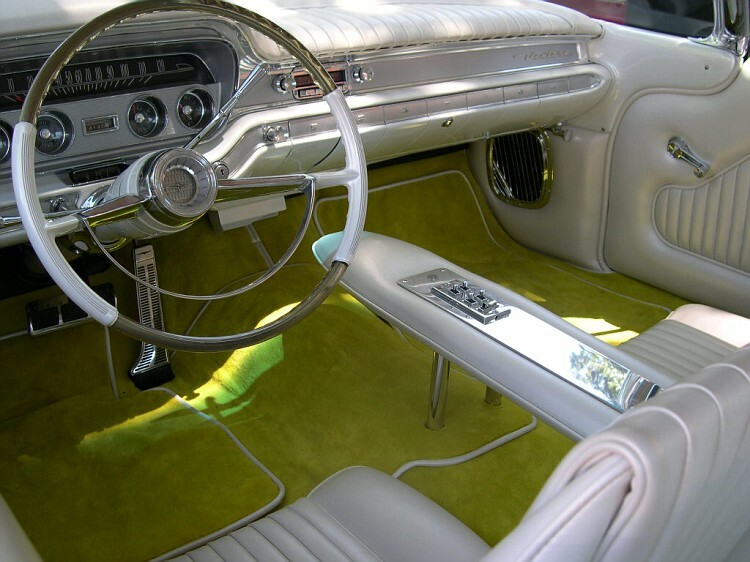 It was custom built by the legendary Alexander Brothers [Lary and Mike] for Mike Budnick who was at his 18s when he brought his brand new Pontiac for customization. 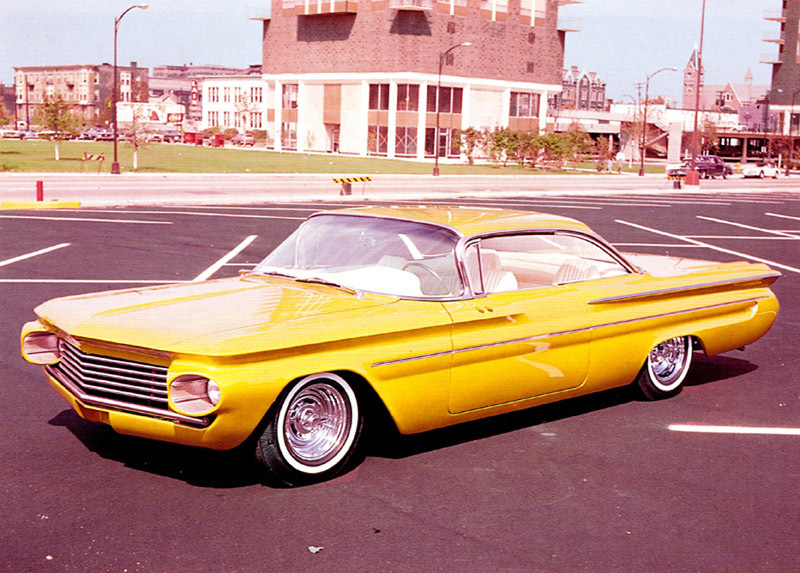 After the car got into work shop took 1.5 year to complete the built because it depended on young Mike’s budget. 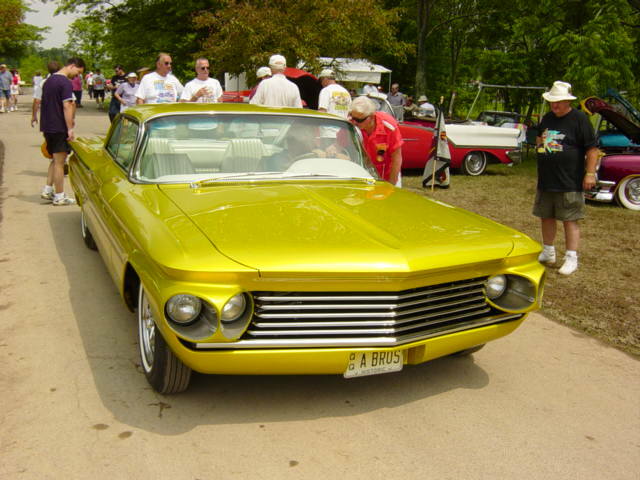 Firstly, the Alexander brothers treated the the usual way – shaved hood, deck, door handles, etc. 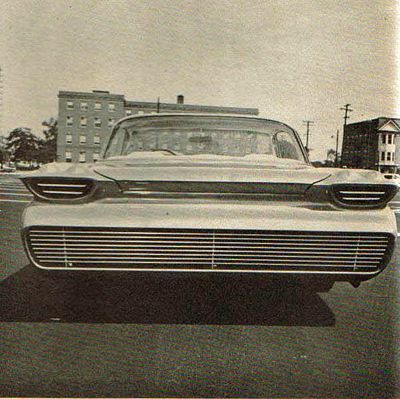 During 1960 most of the cars had modern dual headlights, so the brothers tunneled and quad them in order to stand out from the crowd. 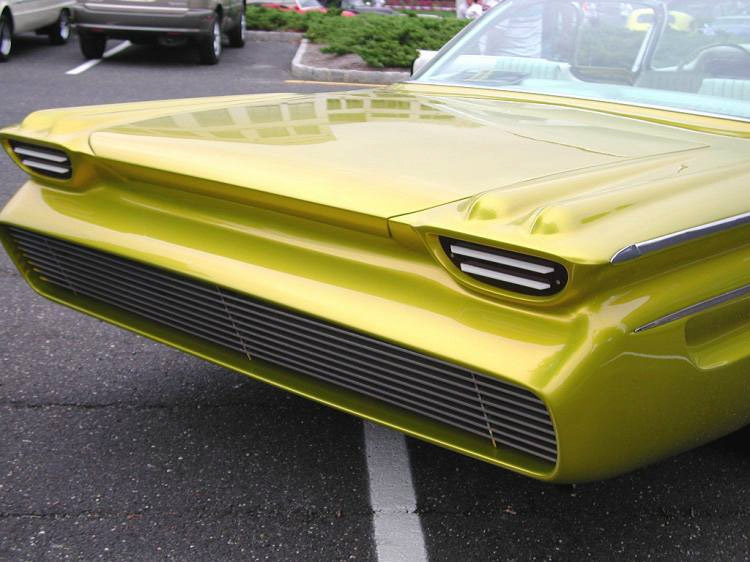 They also removed the front bumper, installed simpler grille and rounded the doors. 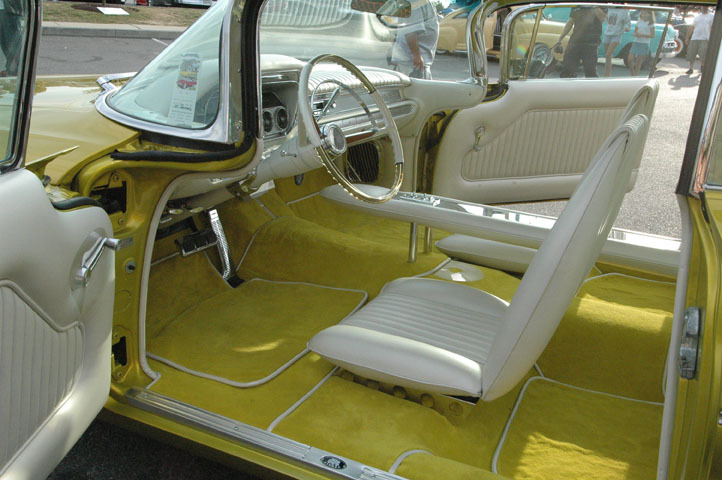 The other unique parts include a pair of anthennas installed into drivers door, and elegant cove panel and completely new rear end. 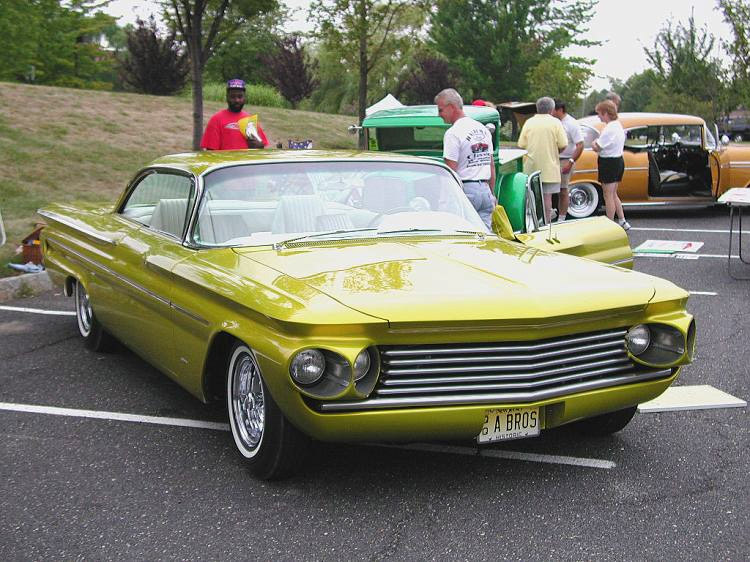 After the bodywork was done, the Golden Indian got its Lemon-Lime Candy body paint.